A very quick desert that is not only healthy but also delicious. I always weigh out all the ingredients before the guests arrive and then after everybody finished their meal, quickly make the Zabaglione. If your guests can watch you from the table, it makes an interesting conversation topic, especially when using Quail eggs. This recipe is enough for 4 polite dinner guest. If you are at all greedy, double it ! Mix four chicken egg yolks and castor sugar in a double boiler. Over the boiling water, whisk the egg and sugar until all the sugar is dissolved and the mix is pale yellow and thick. Slowly add the Marsala while whisking continuously over the boiling water. Whisk until the zabaglione almost doubles in volume and thickens to such an extent that it will hold it’s shape in a spoon – this may take up to ten minutes. 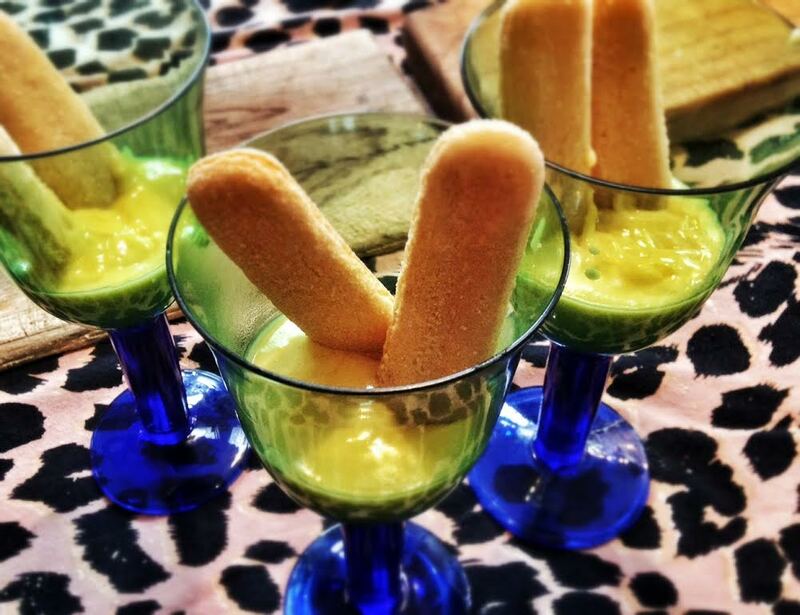 In the mean time place some savoiardi biscuits in a serving glasses pour in the zabaglione and serve immediately. Use an electric beater if you are not great at whisking. The problem is always what to do with all the egg whites after the grandchildren became tired of meringue and amaretti. Eating a wonderful egg white fritata the following morning solves this problem.